Even though poor little Aereo — the once-promising live TV streaming service — was gutted by a 2014 U.S. Supreme Court ruling has already been picked apart in bankruptcy auctions, it still had to face the copyright infringement claims from the broadcasters who alleged Aereo was stealing their signals. What remains of Aereo has now agreed to pay about a penny on the dollar to resolve the nearly $100 million in claims. Bloomberg reports that Aereo will only pay around $950,000 to close the books on the copyright allegations made by CBS, FOX, and ABC. Before it shut down, Aereo offered paying subscribers live online access to freely available over-the-air feeds from the broadcast networks. Aereo used arrays of tiny antennae to capture these signals. Each antenna in the array was dedicated to a single end-user, so the company contended that it was offering nothing more than a high-tech version of of a rooftop antenna. Almost all federal courts sided with Aereo in challenges brought by broadcasters, but the Supreme Court ultimately ruled that Aereo’s service was too similar to a traditional cable-TV provider and that the company must therefore pay for access to network feeds. Aereo tried to make the argument that if it was going to be considered a pay-TV operator than it should be able to license the networks’ content for a reasonable fee. But the U.S. Copyright Office disagreed and a federal appeals court wouldn’t hear Aereo’s case. Aereo still faces $7.5 million in claims from creditors, but only has $811,000 left to pay those bills. 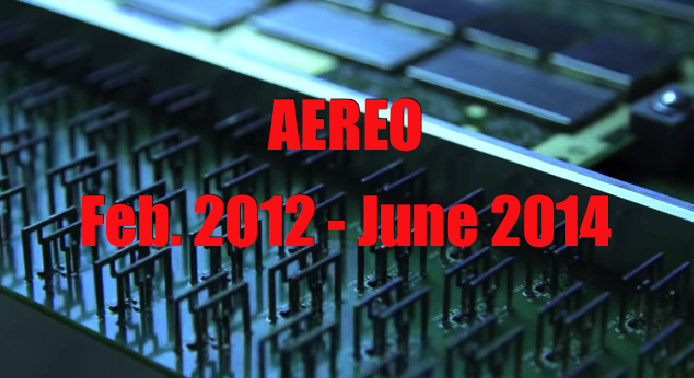 If it had not been able to greatly reduce the copyright claims, Aero said it would have been unable to pay those creditors anything.